As well all know, jewelry is always a popular way to accessorize your outfit. This spring the top trendy accessory that’s on everyone’s list is the bracelet. Bracelets are a sparkly and fun way to add more pizzazz to your look. And for this spring, floral jewelry returns as a top trend. It’s only fitting since spring also marks the return of flowers in nature. 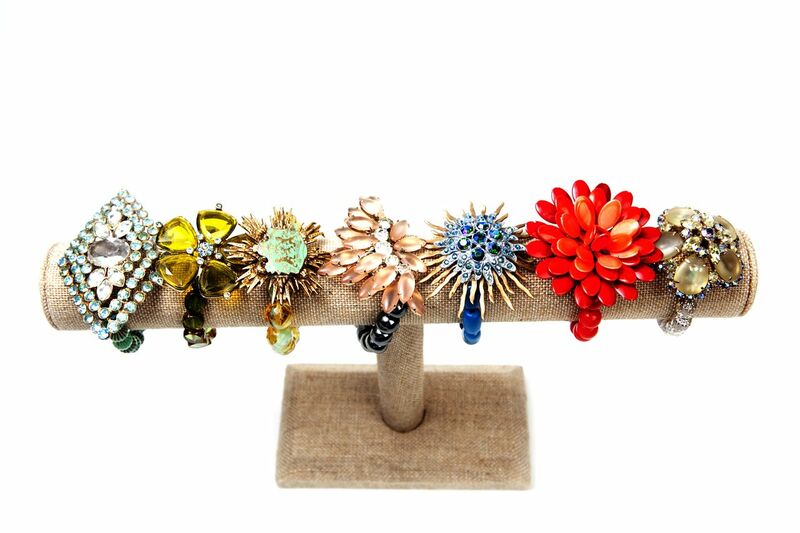 At Saint Vintage you’ll find a wide variety of floral Love Cure bracelets. There are plenty of styles to choose from and the fun thing about these bracelets is that they can be worn with so many different outfits. Choose several and mix or match them. Take your cue from the latest red carpet looks and you’ll see that many celebrities are wearing floral bracelets. They can add some elegance to any outfit. The Thailand Love Cures Bracelet adds a bit of glimmer and color to a any spring and summer outfit! It truly is a stunning piece of arm candy from Saint Vintage’s Wear a Bracelet, Find a Cure Campaign. Another great ‘flower’ pick is the Valerian Love Cures Bracelet. This bracelet is perfect for any type of wear, whether it be during the day or a fun night out on the town. These bracelets make a bold statement. And that’s just what we want! We are all about chunky, layered and big pieces, as well as the return of color and floral designs! So shop Saint Vintage floral inspired bracelets and steal both day and night in style! And check out our Pinterest board for more great floral pieces!